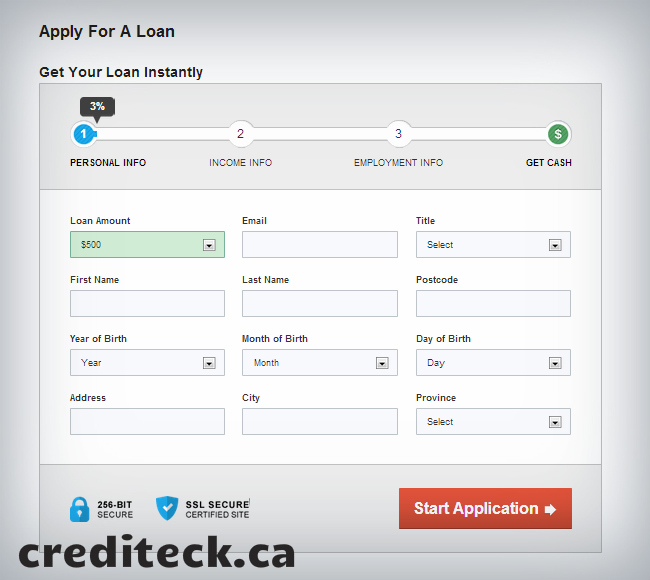 Ready for fast and easy money loan? I’m sure Yes! So, lets go! Click the “Apply Now” button at bottom of this page or same menu item at right. 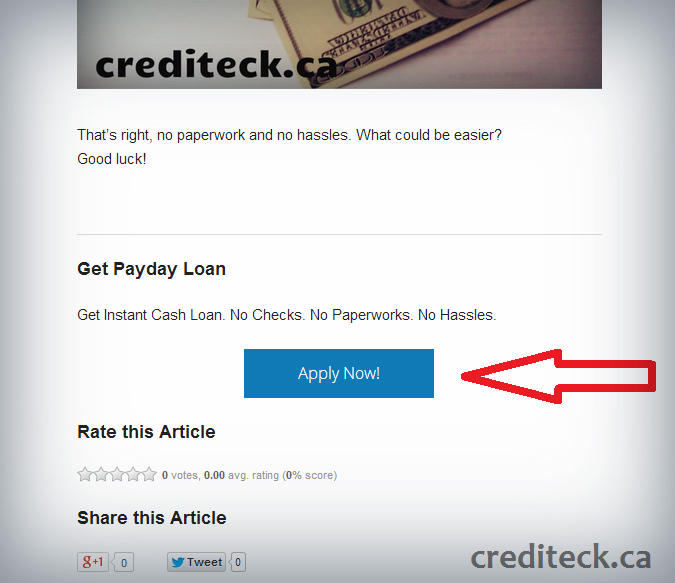 You will be followed to http://crediteck.ca/apply/. Just fill in all form fields. 3. Get Your Loan and Enjoy! 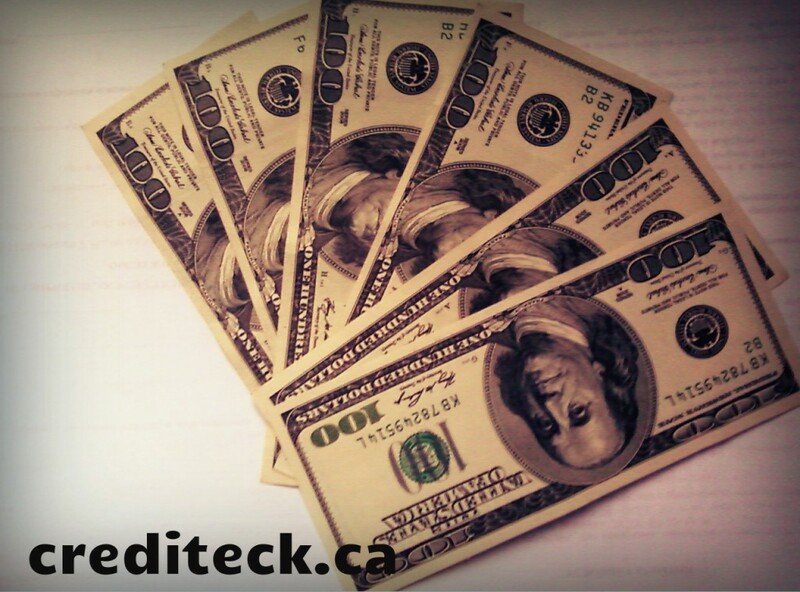 You will get money same day directly to your bank account or credit card! That’s right, no paperwork and no hassles. What could be easier?